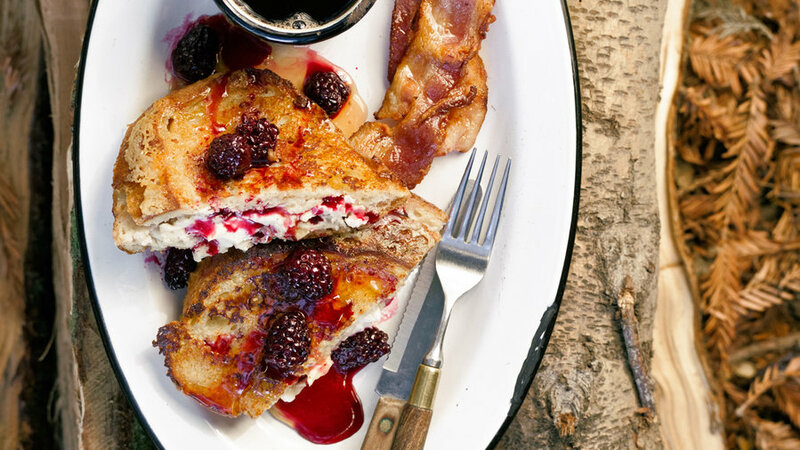 Why shouldn't your campsite breakfast be a decadent affair? 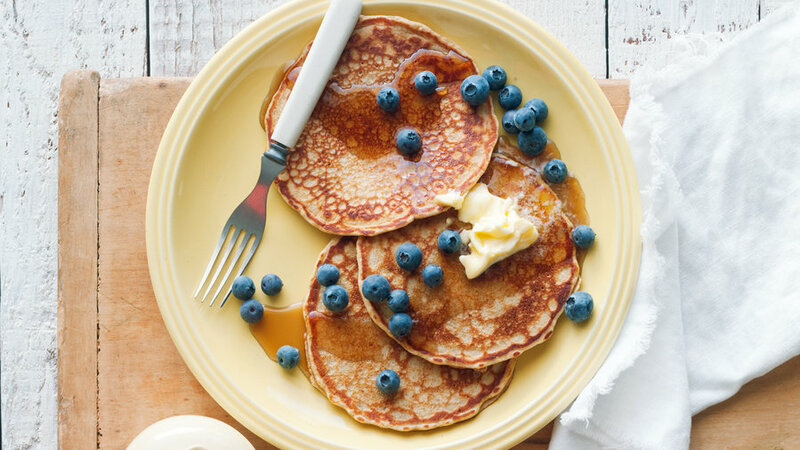 These whole-grain pancakes are made from your own mix, plus fresh fruit and real maple syrup. Cut the centers from thick slices of brioche bread, then toast the bread in a skillet and cook eggs in the "jail." Get a jump-start on these treats at home. Make the dough and stash it in your freezer, then let it thaw in your cooler. Then baking it in a Dutch oven at camp is a cinch. 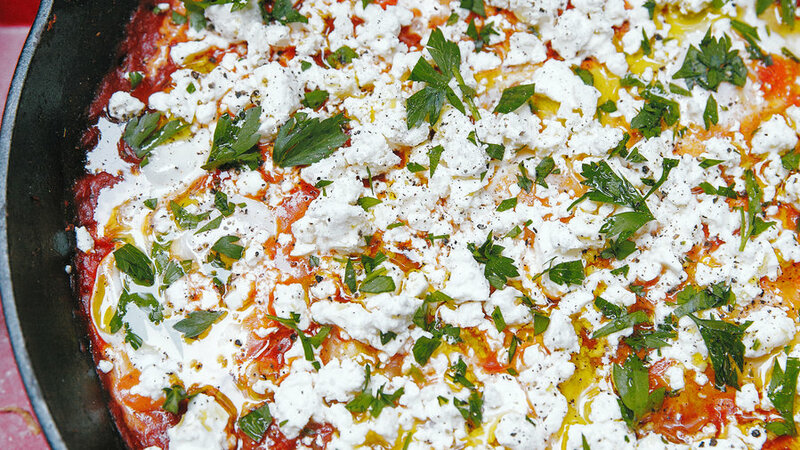 To scoop up every bit of this spicy egg and tomato dish, popular in North Africa and Israel, we brushed slices of pain au levain with oil, then toasted them on a grill pan set on a camp stove. 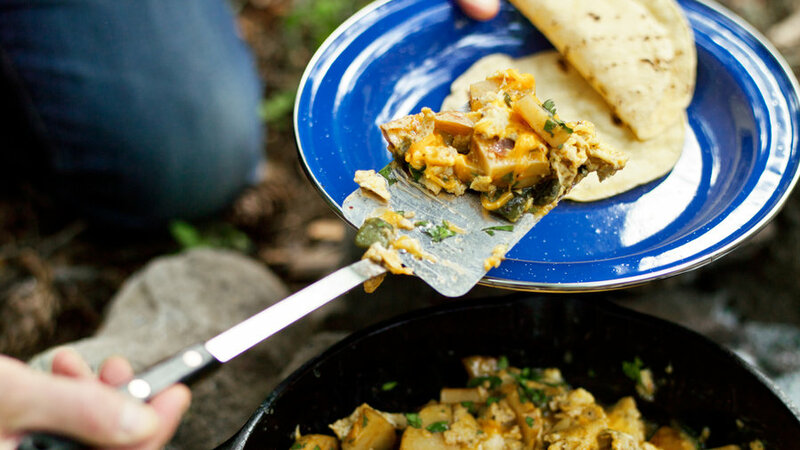 “Healthy—and delicious” was the verdict when we made these on our camping trip. 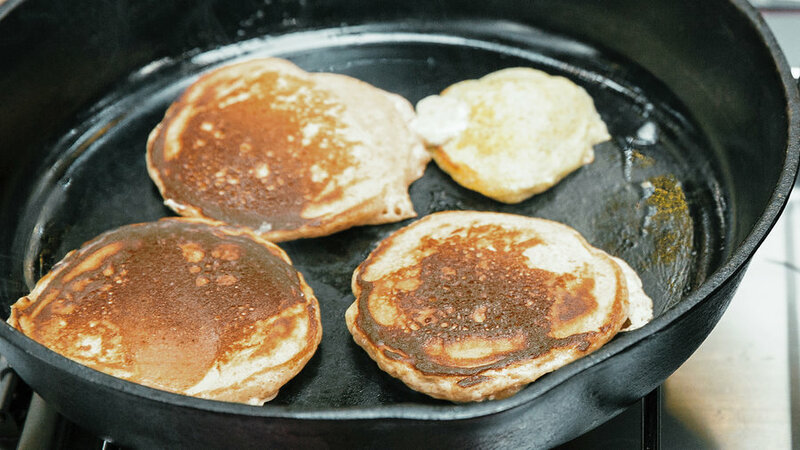 Make the mix for these tender, moist pancakes at home, and they’ll be ready in no time in camp. 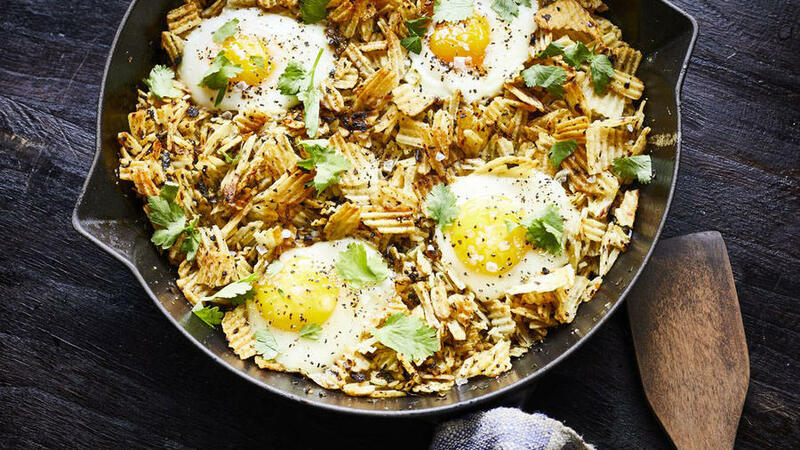 This hearty breakfast takes less than 30 minutes to whip up. Set up an oatmeal bar with toppings and let campers build their own. This hearty combo will fuel you for a big day in the outdoors. Annie Somerville of Greens in San Francisco created this dish years ago on a camping trip to Pinnacle National Monument with her husband, and it’s ​been a brunch favorite at the restaurant ever since. 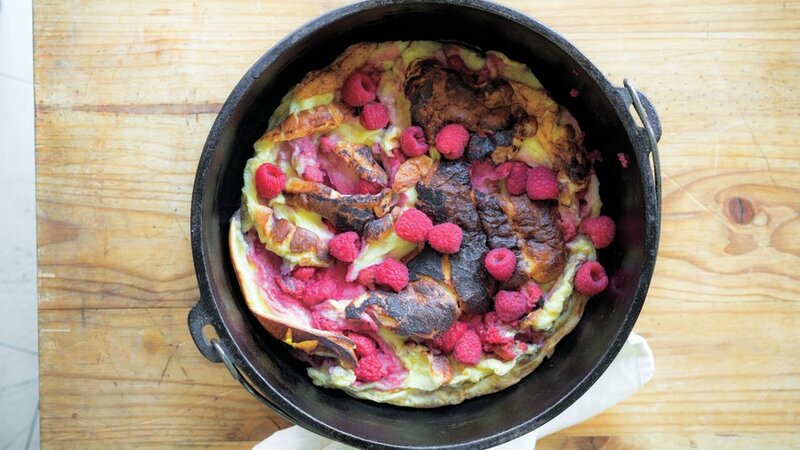 Whisk together a quick batter, pour it into a hot dutch oven to bake, and scatter berries on top. 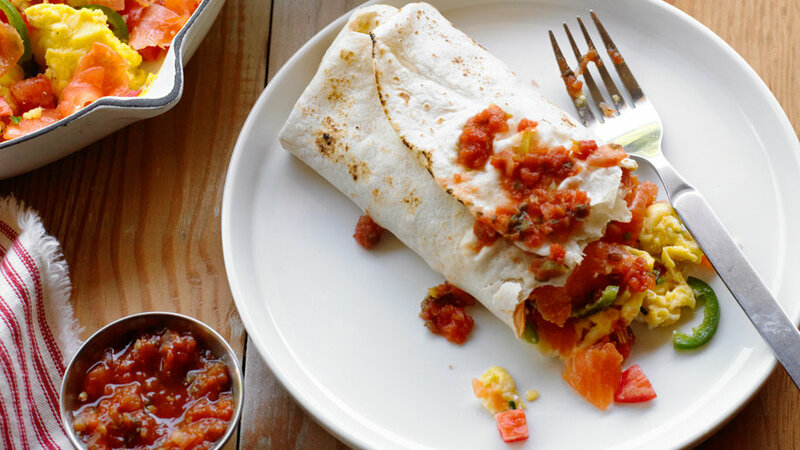 We love this tasty spin on the breakfast burrito, filled with ham, cheese, and chiles. 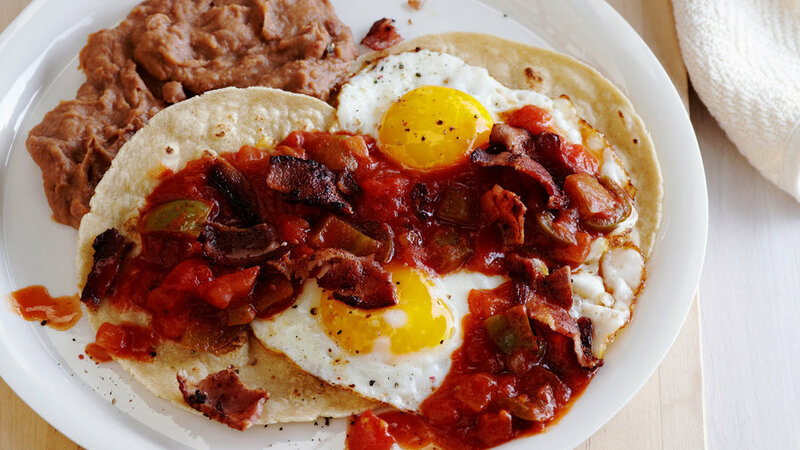 To warm tortillas, heat them one at a time in a skillet set over a campfire. 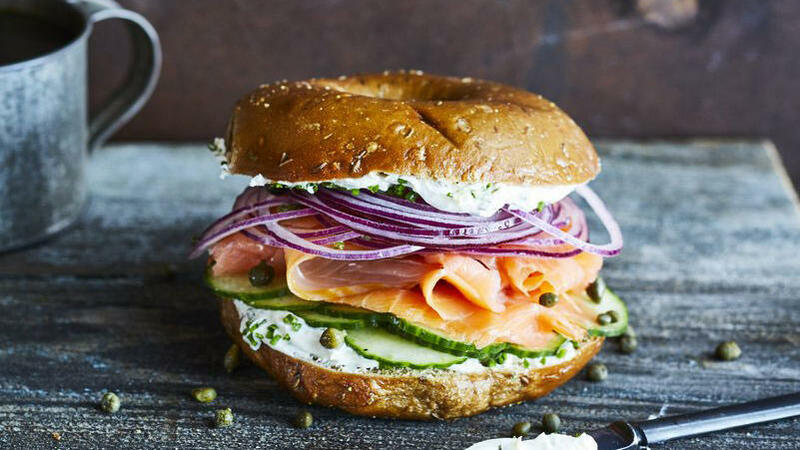 Gussy up breakfast bagels with smoked salmon, briny capers, and crisp cucumber slices. Whisk together the dry ingredients at home and then add the wet ingredients and sliced bananas at camp. 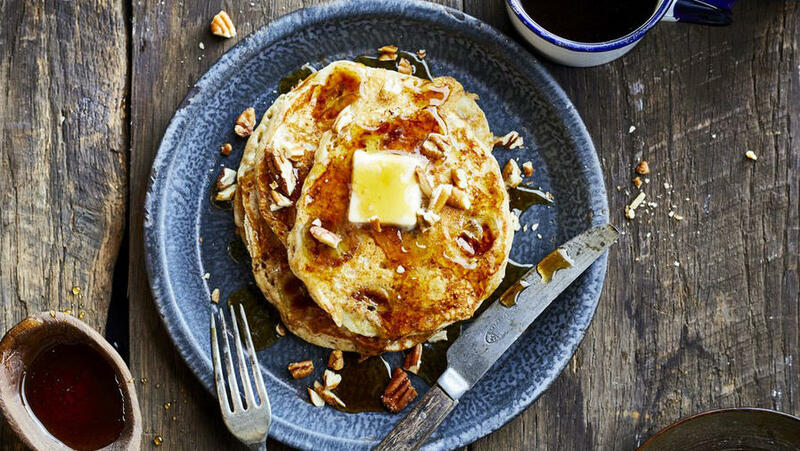 Your family and friends will wake up quickly after getting a whiff of these fluffy pancakes. Remember to pack the maple syrup! 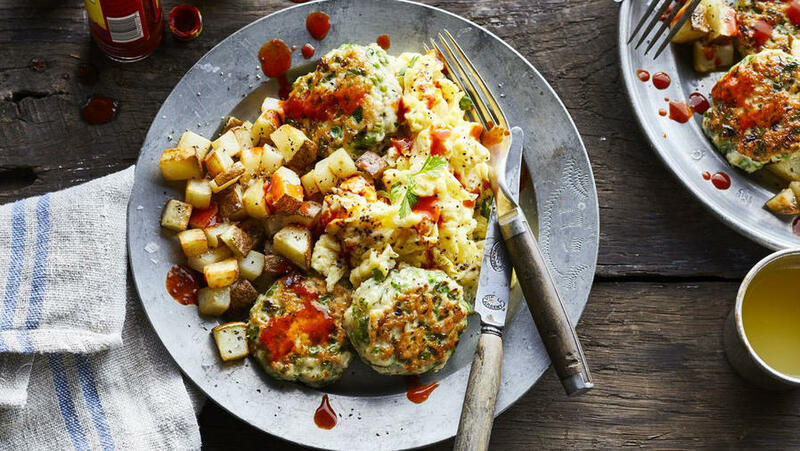 This unusual and delicious combination, from cookbook writer Niloufer Ichaporia King, comes straight out of the abiding love that the Indian Parsi community has for eggs. It happens to be very easy to make in camp, and the potato chips end up tasting like crunchy hash browns. Cook up a big batch of patties at home and freeze. 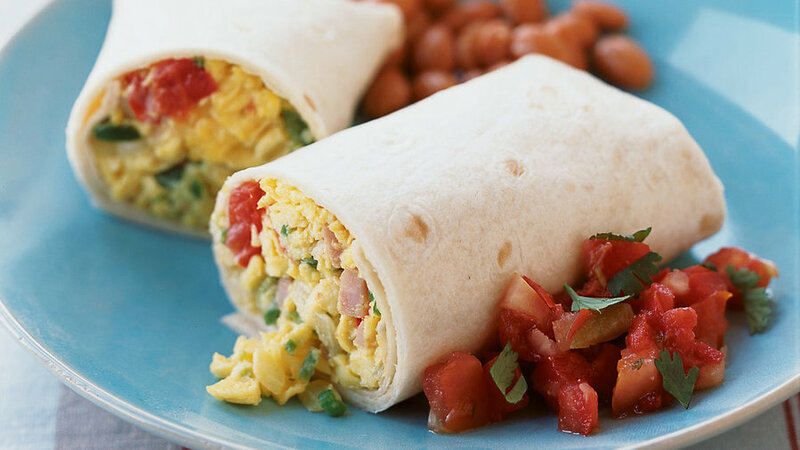 Transport them in a cooler and heat at camp to go with a breakfast of eggs or hash browns. 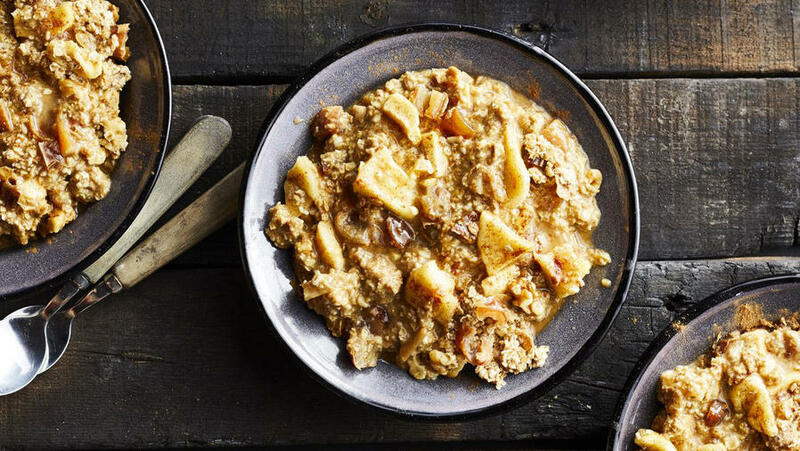 Make the mix for this dried-fruit-and-nut–studded oatmeal ahead of time, to quickly satisfy morning hunger out in the wilderness. 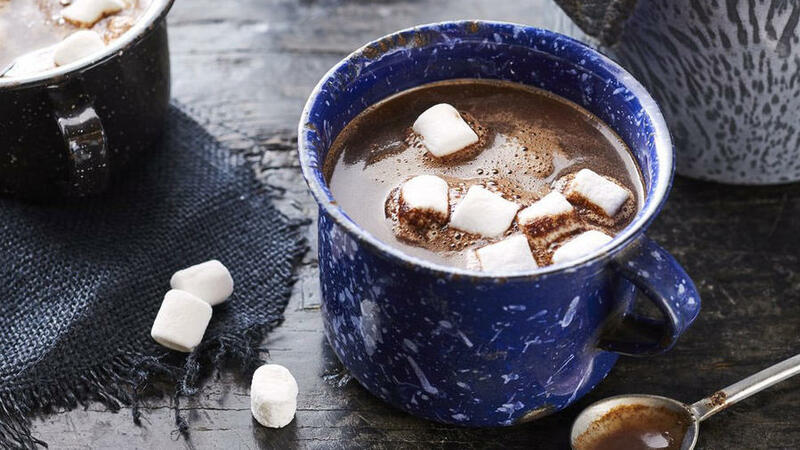 Whisk together your own hot chocolate mix for sipping by the campfire on a chilly evening.